A heart monitor gives real-time feedback. Serious about exercise? Get a heart monitor. Maximize your workout by keeping your heart rate "in the zone." 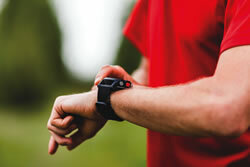 Are wristwatch-style heart rate monitors accurate?